A good turnout across the age groups on a mild but blustery morning on Saturday 19th saw Simon Gold win the 4k and Bob Burt's whole salmon, with Ruth Kelly wining the youngsters short course. Special mention to Justin and Dan who had placed 1st and 3rd at the tollcross parkrun a couple of hours before and still posted great times. 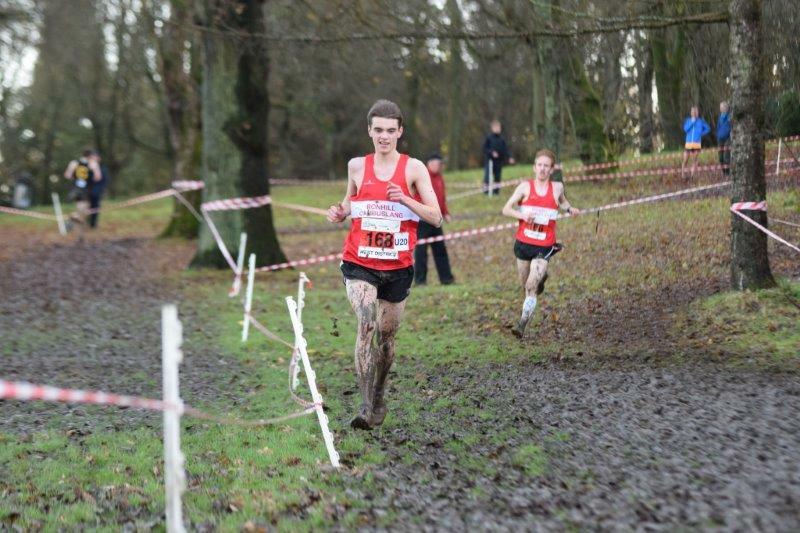 Well done to all who competed on Sunday in very muddy conditions. There were many excellent performances. 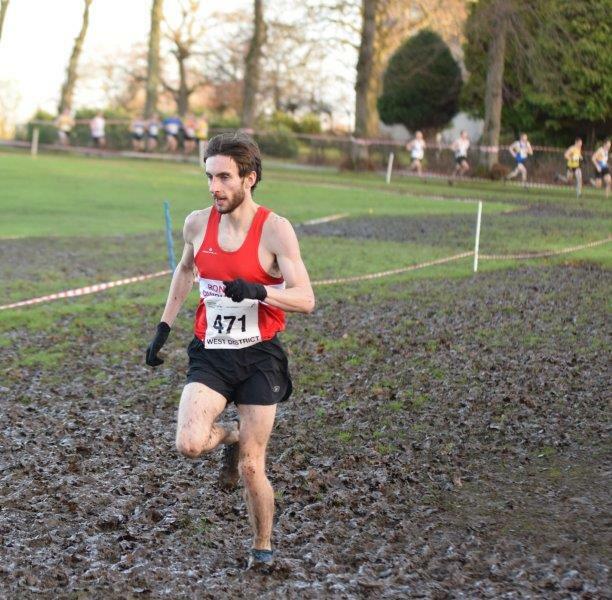 Congratulations to Kyle who front ran from the start to an emphatic victory in the senior men's race. His performance was all the more creditable as he had completed a 14 hour shift the day before as a junior doctor at Ninewells Hospital in Dundee. With good packing from Stuart 7th, Robert 8th, Kenny 11th, Kerry-Liam 13th and Iain R 14th the club took 2nd team behind Shettleston. Alistair who prefers the track had his best cross country run to date over this distance but unfortunately his 15th place was not sufficient to earn him a place in the team. Kenny and Kerry-Liam had the consolation of finishing first and second in the masters competition and with back up from Justin secured the masters team title. Chris finished 2nd master over 50 with Colin first in the over 55 category. There was also individual and team success for the under 20 men with Craig and Ryan placing 2nd and 3rd and Ross completing the winning team in 7th spot. Christopher, Drew and Ryan combined well in 4th, 8th and 10 to take silver in the under 15 boys race. 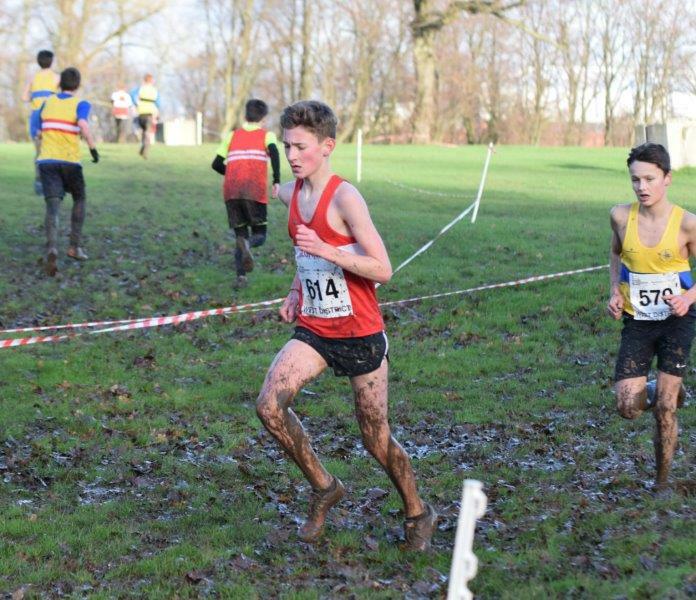 The under 13 boys trio of Sean, Aaron and Harry were 11th placed team. There was individual bronze medal success too for Eve in the women's under 20 race. Our senior ladies team of Alex, Kirsty, Caitie and Vicky finished well to take 6th in the team competition with Lynn providing close back up. The under 15 team of Christie, Lauren and Katie were 6th and the under 13 trio of Niamh, Chloe and Emily finished 8th team. 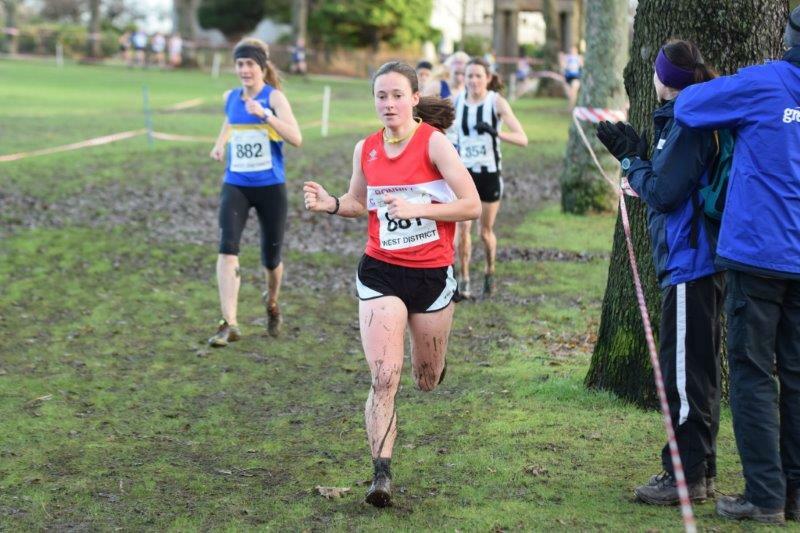 It was good to see Niamh returning to competition after injury. 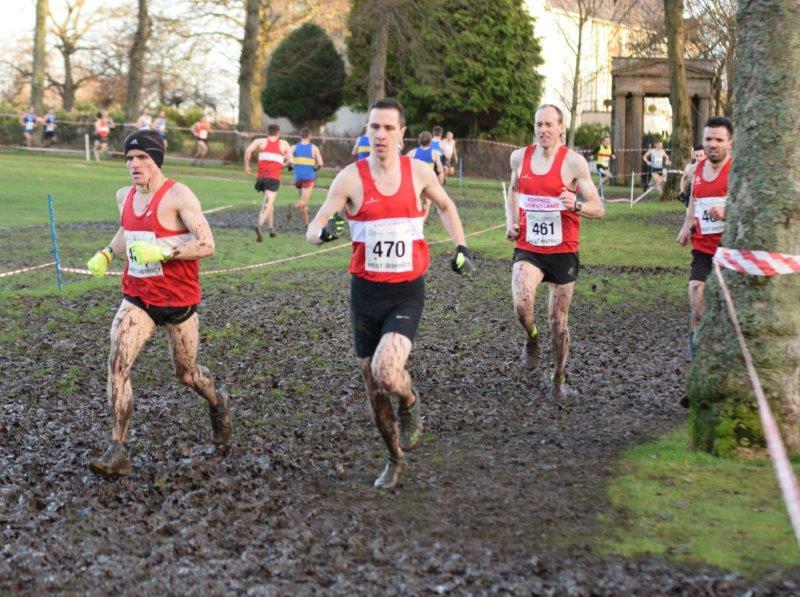 All credit to everyone who managed to complete the course in the very testing muddy conditions which was not surprising given the excessive amount of rainfall in the previous 24 hours. Seemingly ½ a month’s rain fell in Glasgow during the preceding 24 hours. If it is any consolation there were no fences or ploughed fields today which used to be a feature of cross country running. A big thanks to the coaches, club members and parents who supported and cheered on our athletes today. Finally the club should be well represented after today's performances at the forthcoming Inter District Event at Edinburgh in the New Year. Willie had already booked his place yesterday in the North team.